Where’s Power BI in Excel 2016? If you upgrade to Microsoft Office 2016, which I highly recommend, you will notice that ‘the Power’ has disappeared. With Power I mean, Power Pivot, Power View, Power Query and Power Map. So where did they go and how can I get them back? Actually, they’re not gone, let’s have a closer look. First you need to verify if the add-inns are still enabled, in the Excel options. You can do this in two ways. Now Power View is an exception. 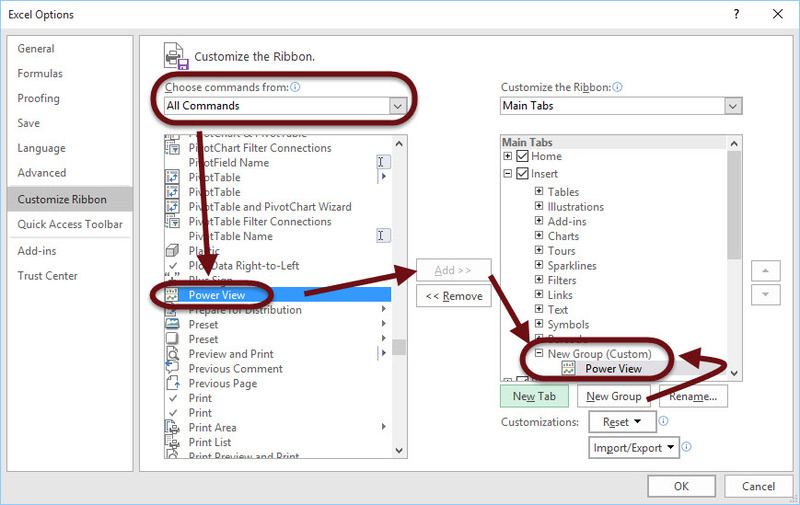 It’s no longer available in the Excel ribbon. The reason is that you can use the, free, Power BI Desktop Designer. Power BI Desktop uses HTML5 for it’s visualizations, while Power View used Silverlight. 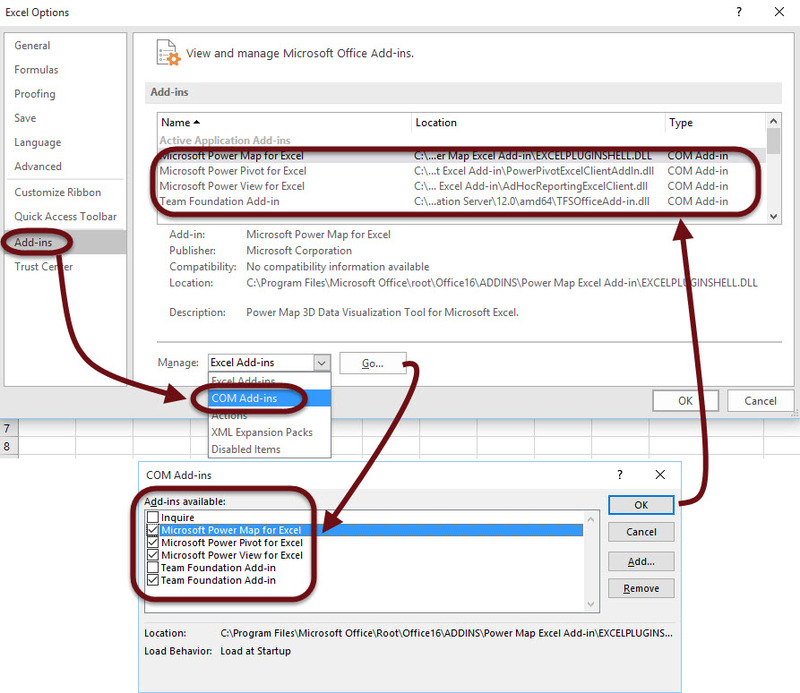 But you can still enable Power View in Excel 2016.